Boost Mobile, Chevrolet and Nissan topped TVTY's charts. Lists of top advertisers tend to focus on money. Procter & Gamble, for example, is considered the world's largest advertiser because it spends more on paid media than any other company. 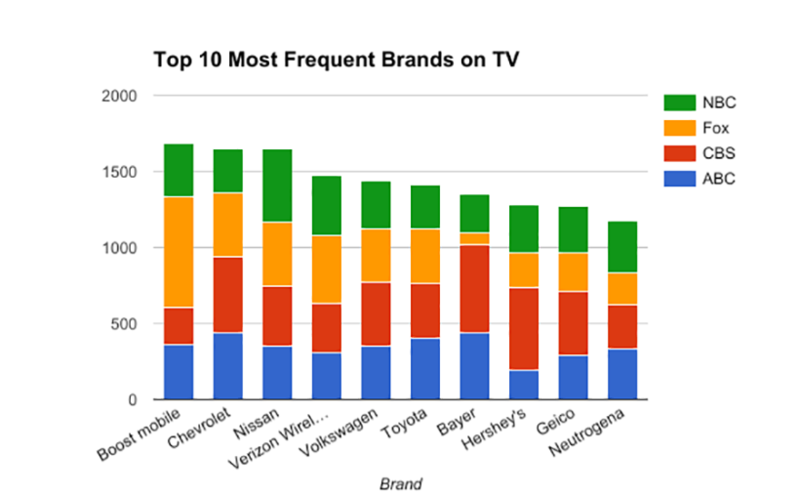 But that doesn't mean viewers see its commercials more than those of other brands. 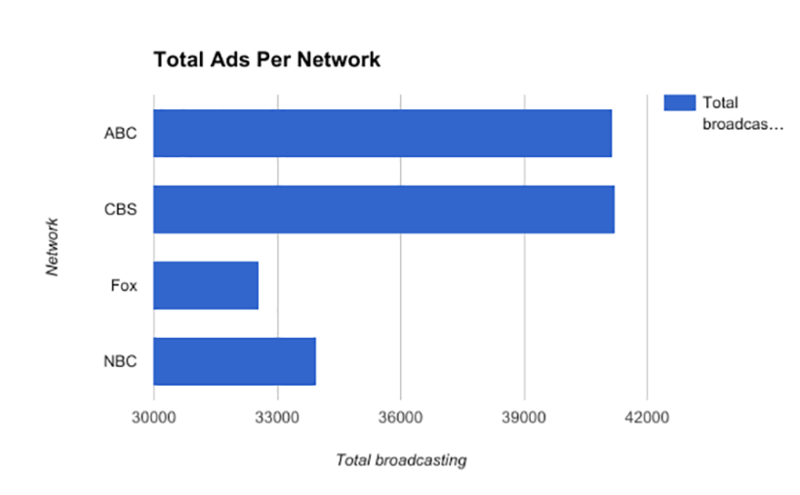 By analyzing actual TV streams of the major broadcast networks, TVTY can determine the frequency with which commercials from particular brands appear. Here are the 10 brands that broadcast the most commercials on TV last week, and the networks that air the most ads.